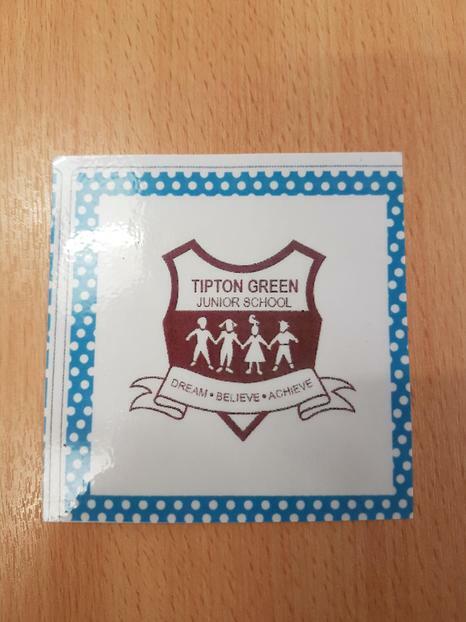 At Tipton Green we love treats and rewards! Our new reward system is the token. The reward tokens can be earned in lots of ways. For getting a Head teacher's award, for being in the gold box, for getting a gold certificate, for sports events, for good work or for reading 5 times a week. Tokens can then be used to get lots of rewards. Here are the things that tokens can buy at the moment. Tokens are banked with Mrs Bourne at the Tipton Green bank. Lower school on Mondays and Upper school on Tuesdays. When children have enough tokens, they can claim their reward and then start saving again for another treat! So far 2 groups have claimed their prizes and today seven girls decorated some lovely cakes with Mrs. Wise. Keep saving the tokens for more rewards!